At least, that was the mood at a meeting of top ethereum developers late last week where a discussion on a controversial code proposal called EIP 999 led some to speculate the scenario is now a possibility. Indeed, it’s now believed the proposal, which which seeks a technical fix that would return $264 million in lost funds, is so contentious, some users may chose to defect to a new version of the code. Those in favor of the proposal point to the frequent losses of ether due to buggy contracts, arguing that the platform should ensure against such avoidable mistakes. But on the other side, many warn that editing code after deployment could damage not only the security but also the integrity of the platform. “It’s clear no matter where you stand that the issue is contentious enough that if [EIP 999] goes forward and implements then it will generate a contentious hard fork,” developer of ethereum’s Mist browser Alex Van de Sande, said during the dev meeting on April 20. Still, it’s important to note the size and influence of its backers. Spearheading the code change, for instance, is Parity Technologies, the ethereum software company behind the wallet that was impacted by the fund freeze. Founded by ethereum co-founder Dr. Gavin Wood in 2015, Parity is the second most popular ethereum software, used by almost one-third of the network. Speaking at the meeting, two representatives from Parity, communications officer Afri Schoedon and co-founder and CEO of the company Jutta Steiner, urged client developers to move forward with versions of the software equipped with the EIP 999 change. “For me, the most logical step to take is just implement EIP 999, and I don’t see what waiting another four weeks to conclude would benefit,” Schoedon said. However, there was notable disagreement on the assertion. Péter Szilágyi, the lead developer of Geth, the Ethereum Foundation-led ethereum software which serves the majority of users, disagreed, stating that if the code is made available it is likely to create a contentious split. And the discussion, while informal, shows ethereum’s two biggest competing softwares are willing to go head-to-head on the issue, a development that could prove notable going forward. Stepping back, though, it’s important to understand how Parity and Geth work together. Each software communicates directly with the ethereum virtual machine – which takes smart contract language and translates it into more general code – but Parity and Geth do so in different computer programming languages. If, for instance, one team implements EIP 999 and the other does not, the blockchain could fracture into two divergent groups – two ethereums. Not only does the company provide a significant portion of the mining power that secures transactions on the network, but it also represents a large portion of ethereum’s developer community. Billionaire Silicon Valley venture capitalist Tim Draper is doubling down on his bullish bitcoin hand. Draper, founder of Draper Associates, became famous for his early backing of tech sensations Tesla, Jobs.com and Skype, but if you ask him today, bitcoin surpasses them all. “In five years you are going to try to go buy coffee with fiat currency and they are going to laugh at you because you’re not using crypto. I believe that there will be a point at which you will no longer really want any of the fiat currency,” said Draper. One of the key questions debated by the panel was the bitcoin bubble, to which Draper compared to the emergence internet. “The whole premise of ‘is it a bubble?’ is ridiculous. Our last bubble … the internet bubble … Was that a bubble? You guys still use the internet. That was no bubble. That was an amazing transformation of our world,” Draper said before the live audience. For the topic of security, Draper was joined by his co-panelist Patrick Byrne, founder of Overstock.com and CEO of tZero. Together they argued the security case for cryptocurrencies. “This has been hacked at more than anything in history, but it’s never been defeated. Last I checked, banks get hacked, too,” said Byrne. Gillian Tett, US Managing Editor at the Financial Times, countered that at least banks have a big enough pool of money to repay the customers in the event of a security breach. Draper had the last word. “I am so much more secure in my bitcoin than I am in the money that is sitting there in Wells Fargo,” said Draper. Featured image from Flickr/Web Summit. Bitcoin is primed for another “price explosion” that could see the cryptocurrency’s value soar to even greater levels than it experienced in 2017, according to analysts. 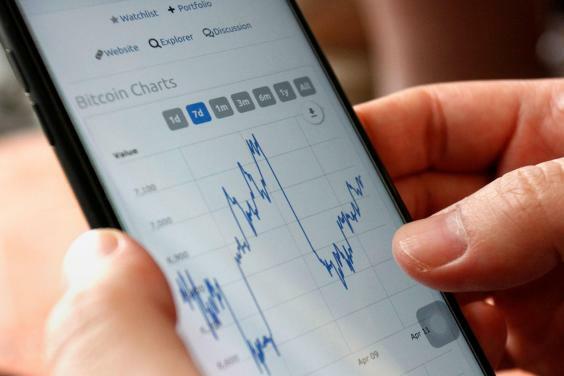 The price predictions come amid significant gains across cryptocurrency markets in recent weeks that have seen bitcoin rise by more than a third in value to return above $9,000 for the first time since March. The positive price forecast is in part informed by market activity that has seen a large increase in buy orders for the world’s most valuable cryptocurrency. As noted by Cryptoslate, buy orders compose over 92 per cent of market activity for the first time since March 2017. At that time, bitcoin was worth just over $1,000 but quickly began to gain value, eventually reaching close to $20,000 by the end of the year. Analysts have previously cited concerns about cryptocurrency regulation when explaining bitcoin’s dramatic drop in value at the beginning of 2018, which saw it lose over $10,000 over the course of a few months. However, the right kind of regulation could in fact be a boost for bitcoin and other cryptocurrencies as it will protect investors while also exploiting their benefits. A move towards this type of even-handed approach to bitcoin was hinted at by IMF chief Christine Lagarde earlier this month, who said bitcoin and its underlying blockchain technology could transform the way people save and invest. Ms Lagarde’s comments preceded an upswing in the cryptocurrency markets, with other major digital currencies like ethereum, ripple and bitcoin cash mirroring and even exceeding the recent gains of bitcoin. Having passed the $9,000 price point, other analysts are confident that the crossing of the next psychological barrier of $10,000 will continue to boost bitcoin’s momentum and could trigger what is known as a bull phase in the market, whereby optimistic investors drive up the value. “Bitcoin is well on its way to $10,000 and the volumes, buy orders and momentum oscillators all point towards this,” Oliver Isaacs, an experienced blockchain and cryptocurrency adviser, told The Independent. Such optimistic predictions seem relatively modest when compared to the price expectations of several renowned figures within the cryptocurrency space. These include the investor and self-described “bitcoin evangelist” Alistair Milne, who believes bitcoin will reach between $35,000 and $60,000 by 2020, and celebrated investor Tim Draper who revealed his prediction earlier this month that bitcoin will soar to $250,000 by 2022. Such a price increase would but bitcoin’s market capitalisation at around $5 trillion — more than five-times the market cap of Apple, which is currently the world’s most valuable publicly listed company. Previous Post SVK CRYPTO PODCAST 128 – 24/04/2018 – EOS leading the alt coin rally?